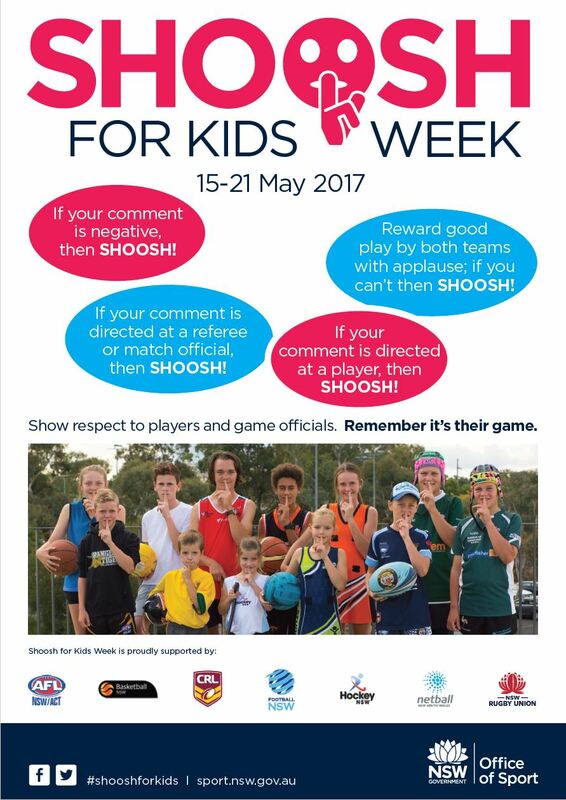 Shoosh for Kids is a collaborative effort between Office of Sport and State Sporting Organisations to promote positive sideline behaviour to their members, clubs and associations. The Shoosh for Kids campaign is aimed at promoting positive sideline behaviour at junior sports events. The general rule is, if you can’t say anything nice, don’t say anything at all.